Kansas Citians know the holidays are approaching when trees are popping up in Union Station! As KC Restoration’s technicians have been completing stone refinishing work on the granite walls and transoms you can see in these photos, they also got a sneak peak behind the curtain. Check out the busy scene of staff decking the halls. Make plans to come by the station this Saturday for the Holiday Kick-off event with the lighting of the largest indoor holiday tree in the metro, riding the miniature train, and special performances by Harmonium, Quixotic, and more. You can get all the details for all the special events coming up at: https://www.unionstation.org/holidays/. KC Restoration has been hard at work in downtown Kansas City and just finished work on the Town Pavilion Building. 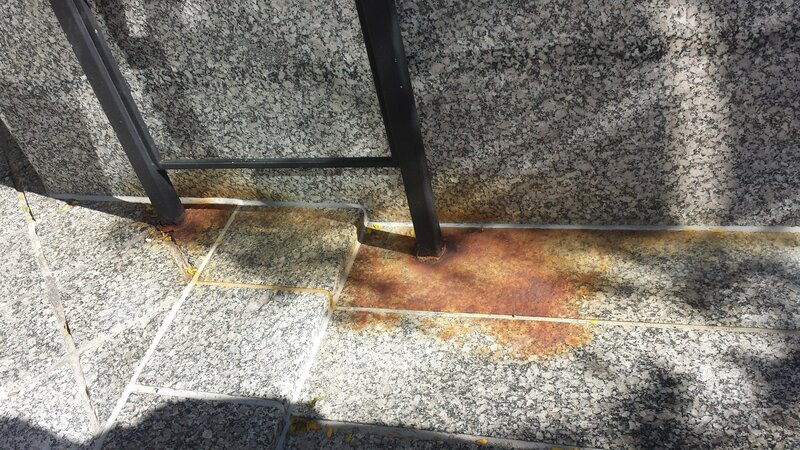 We were asked to remove rust that had built up around the granite that surrounded exterior metal handrails. Technicians from KC Restoration applied a treatment that produced results that just have to be seen to believe. 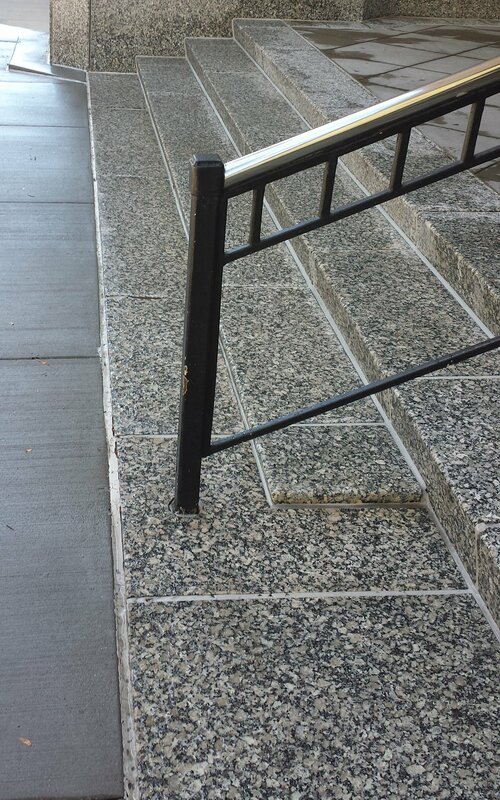 We also cleaned the entire granite and concrete entrances of the once again beautiful entry to one of the tallest buildings in downtown Kansas City. Whether your job is as tall or small, contact KC Restoration to find out how we can bring back the beauty to your building.